Being the most economical car in Pakistan, Suzuki Mehran comes at the top of list. With its low maintenance cost and affordable price, the 800cc car has witnessed massive demand in Pakistan especially since the last decade. As a result, it has become the most commonly driven car in the country for those who prefer a cost saving vehicle overlooking the luxury and technical aspects. While there are top brand cars available in Pakistan however, when it comes to choosing the most economical car, you have to critically examine affordability, fuel consumption and maintenance cost of car. Mehran by Suzuki Pakistan is the best choice for those who are looking for a light and easy drive. It is most affordable car in Pakistan also. The major reason of its popularity is its engine. Its little engine consumes less fuel and gives you better mileage within city. The average on CNG gets even better making it the cheapest car to drive in Pakistan. Mehran consumption over CNG is about 15 – 20 KM per Kg, which is quite higher than 10 Km per liter on Petrol. So, if you are going to buy this car especially a used one, make sure that it is CNG installed. Being one of the most popular cars in Pakistan, Mehran is always available in stock. 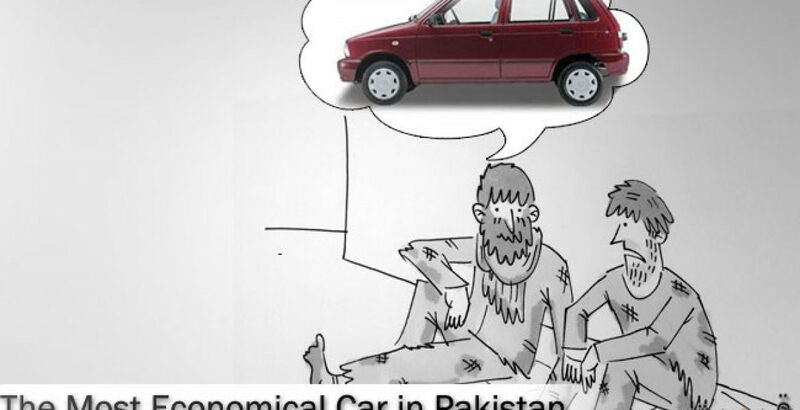 It is highly recommended to analyze the condition critically when you are going to buy used Mehran. Being the cost efficient car in Pakistan, Mehran lets owners of “rent a car” businesses to increase their profitability. Those cars, which are used by rent business, are assumed to be messy. It is thus very important to analyze the car from all aspects before you pay for price. Spare parts are the second reason that Suzuki Mehran has been seen most of the times on roads. Not only they are less in cost but also availability is also wide throughout the country. Don’t worry if something caused your Mehran a breakdown, you are sure to find its spare parts from almost any location in the city. Not only the spare parts but also the mechanic and workshops of Mehran are also spread in every corner of almost every city. From a minor breakdown to major overhaul, at the end of the day you feel it light on pocket and save vital cash. Coming to investment point, the car also offers a great cash back value. Better resale lets you upgrade your vehicle any time. It is that so easier than spending a few hours. You never have to contact a dealer, simply go to auto market and you can sale it straightaway. For its resale market owners call it equivalent to cash vehicle. Before you go to buy this car, you must know what you will get. Being a small car Mehran is intended for city drive by an individual or a couple. So keep in mind that if you are looking for a family car you should think differently. Mehran is suitable for those who don’t bother for comfort and luxury. If you have small garage, have low budget and you use to drive within the city then Mehran suits you.